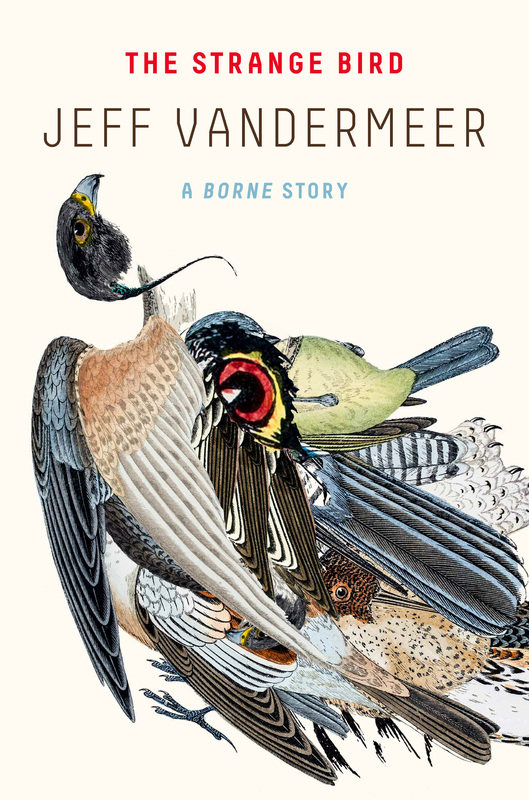 Earlier this year, Jeff VanderMeer published Borne, a terrifically surreal book of dystopian sci-fi zoology. Following the success of his 2014 “Southern Reach” trilogy (the first volume of which is currently being adapted and directed by Alex Garland for a 2018 film release), Borne was a bold choice: in it, VanderMeer doubles down on the ecological / environmentalist nature of the Southern Reach books and follows two survivalists as they navigate a post-catastrophe biotech wasteland. In the world of Borne, a defunct science organization called The Company pushed the limits of bioengineering: creatures were fashioned into technological hybrids and were left to fend for themselves when The Company was destroyed. Mord, a building-sized bear, looms in the distance, careening through empty skyscrapers in a chaotic fury. The two protagonists, Rachel and Wick, find a strange, protean creature of unknown origin that looks, at times, like a rainbow vase of tentacles. When the creature speaks and takes on new forms, Rachel begins to feel affectionate towards its child-like, pet-like charms. She names the monster Borne, and finds a way to love it despite the chaos in the world. The Strange Bird is a digital-only novella from the world of Borne, and a must-read for fans. It is not a spin-off but an fine new level of world-building: it provides readers a complementary, expansive new perspective with which to analyze VanderMeer’s universe. The Strange Bird reads like a parable steeped in metaphor but maintains the mesmerizing and surreal beauty of Borne. VanderMeer leaves readers not to immerse themselves in his world (that was what Borne was for) but instead to interpret it — to discover what it all might actually mean. Like Borne, The Strange Bird is about a undefinable creature, in this case an “unstable melange” of “avian, overlain with Homo sapiens, [and] other terrestrial lifeforms.” It is haunted by its memories and a vague notion of having an inherent purpose. It can dream, and flashes back repeatedly to its days in The Company’s laboratory. There, it was subjected to numerous tests; things were embedded, implanted, encoded. It feels the pulse of a compass within its body, and travels by the spiritual sensation of its needle. Fleeing the lab, The Strange Bird is captured by an old tinkering man, who feels a nostalgic sort of joy around the creature. The last beautiful thing in his life was his late wife Isadora, and he revels in her memory around the Strange Bird’s grace. The bird escapes from the man and, wounded, falls into the hands of The Magician, one of the villains from Borne. In a basic surface analysis, Borne is about finding hope outside of oneself, looking past the selfishness of humanity and rediscovering the world beyond the human experience. Rachel learns about love and empathy by projecting herself onto Borne, who grows and evolves in response. The Strange Bird tackles many of the same themes but shifts the timeline: all of this human projection and influence has happened before the story even begins, and the novella tracks whether that spirit, the compassion of one scientist and the anxieties of the rest of the team, are enough to sustain a new creation. In the lab, so many of the scientists had said “forgive me” or “I am so sorry” before doing something irrevocable to the animals in their cages. Because they felt they had the right. Because the situation was extreme and the world was dying. So they had gone on doing the same things that had destroyed the world, to save it. Even a Strange Bird perched on a palm tree on an artificial island with a moat full of hungry crocodiles below could understand the problem with that logic. The Strange Bird is a bitter counterpart to Borne: instead of watching with awe at the expansive potential of the animal kingdom, The Strange Bird shows the limits of man. Instead of engineering hope, they created a phoenix on the verge of extinction.